We were very impressed with the quality and Deco details of this stunning necklace. 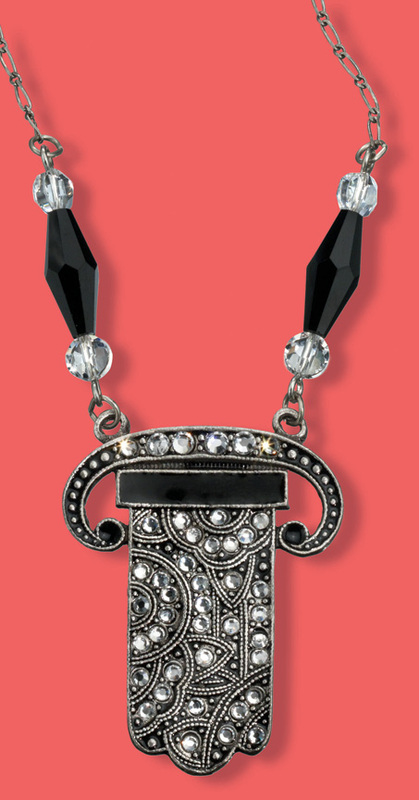 It combines the best of black enamel work, small set crystals, and larger black and clear crystals on the silver chain (adjusts to 17"). Imagine how lovely it will look around the neck of that special lady, especially if that lady is you. Made in the US of sterling plate on solid brass, hand-enameled, and set with Swarovski crystals.